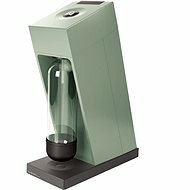 Soda machines allow you to prepare carbonated drinks from the comfort of your own home. In addition to price, important things to consider when choosing a soda machine are ease of use, cylinder volume, and the overall design of the machine. 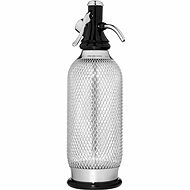 We all know the soda syphon, a device for dispensing carbonated beverages. 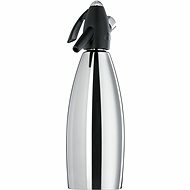 Carbonated soda is delicious, but if the old seltzer bottle seems to you like something that belongs to the previous century, then you should probably consider getting a new soda maker. Modern soda machines are extremely easy to use and the results will amaze you. 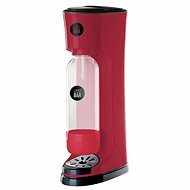 Prepare a fresh fizzy drink in the comfort of your home and take it with you to work, school, or on a trip. 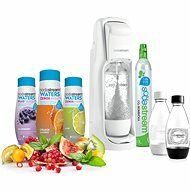 Modern soda machines let you set the CO2 saturation levels so you can prepare gently sparkling water, carbonated drinks, or strongly carbonated fizzy beverages. Add a syrup and you can create your own lemonade. Cold homemade lemonade is guaranteed to delight your guests, especially on hot summer days. Just pour ordinary tap water into a bottle and add your favourite lemonade flavour. 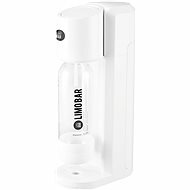 Our product selection includes soda machines SodaStream and LIMO BAR. 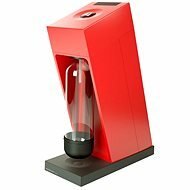 SodaStream and LIMO BAR soda machines are extremely popular due to their ease of use and beautiful modern design. 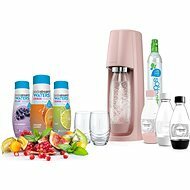 You can prepare your favourite fizzy drink with a press of a button, which means it’s so easy even your children can do it. Soda makers are also remarkably cost-effective, since they don’t require any electricity. Every soda machine comes with a spare carbonator.